14 inches of tribute terror. 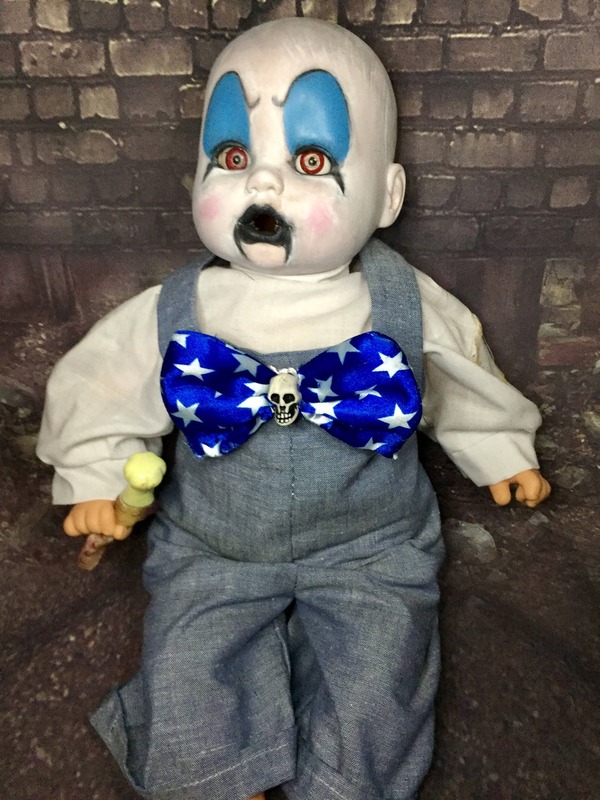 Captain Spaulding Clown Baby was a former thrift store doll. Purchased without eyes and a warped mouth. Redeemed and ready to spend his second undead life with you. 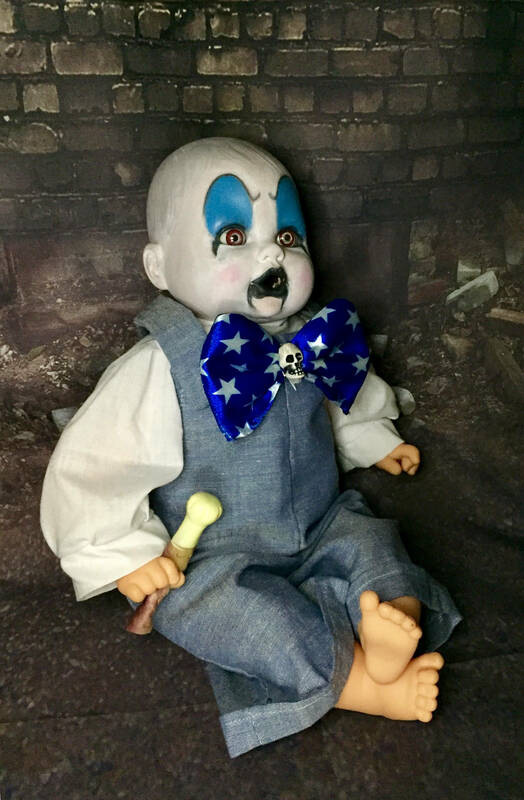 Captain Spaulding Clown Baby is dressed in soft fabric overalls and white long sleeved shirt. 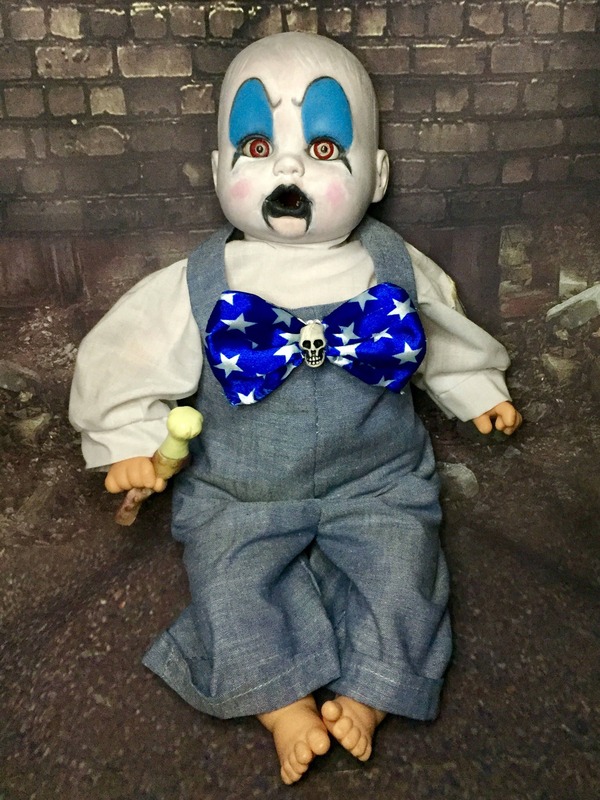 Attached to the front of the overalls is a custom bow tie and skull. 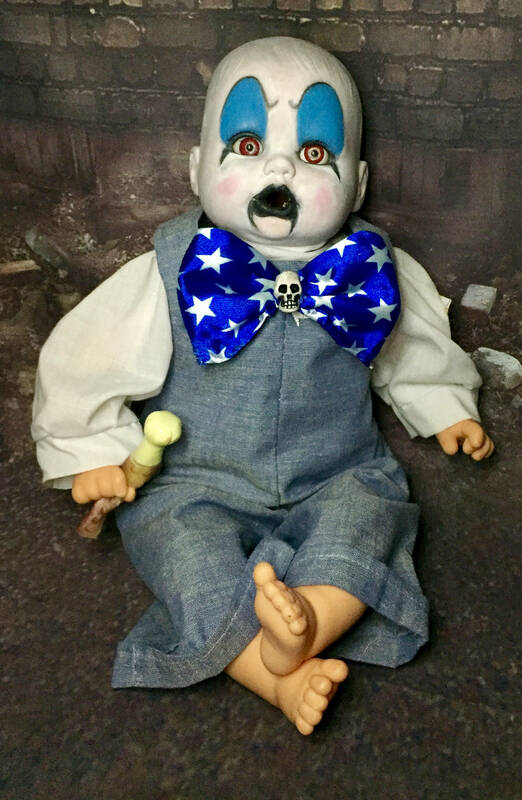 He is permanently holding a small chicken leg toy in his right hand. 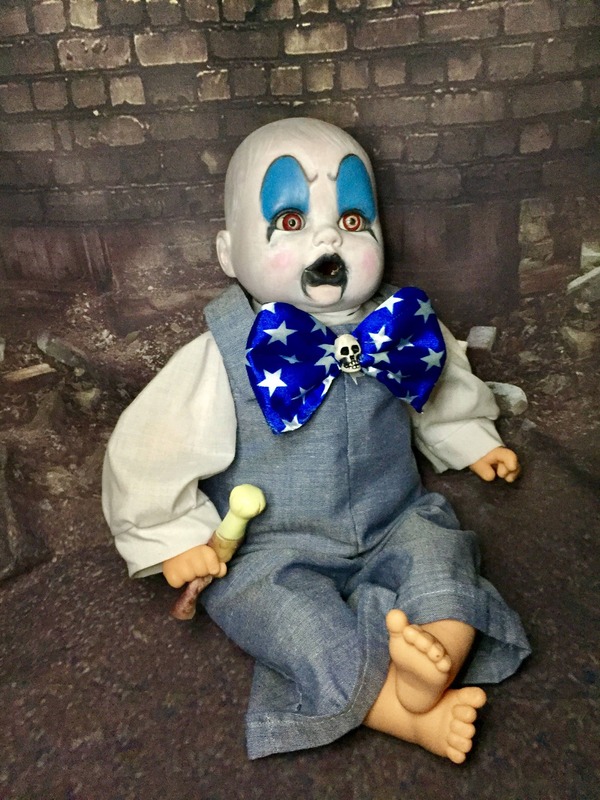 Captain Spaulding was implanted with custom eyes, that appear to follow you. 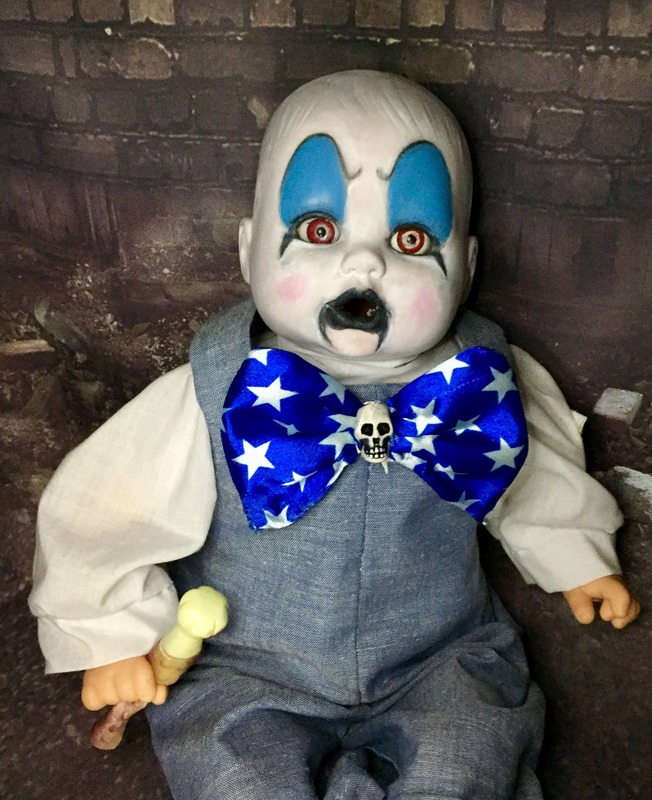 His warped mouth was hollowed and now seems shocked/annoyed at everything you do. Professionally painted with Liquitex pro acrylics, Derwent Inktense oil pastels, and sealed with Luminaire varnish. His soft body was stuffed with Monkey Fluff brand stuffing. 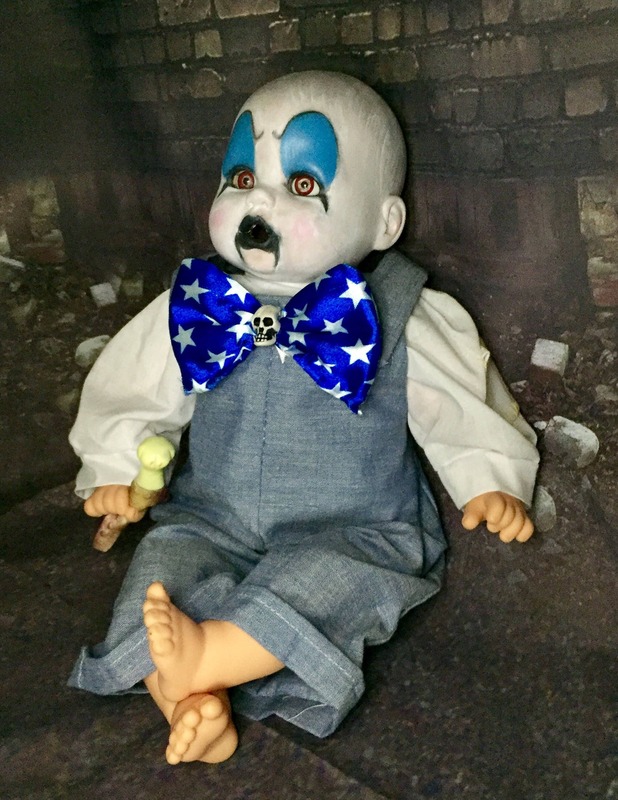 Captain Spaulding Clown Baby was not created or meant for children.